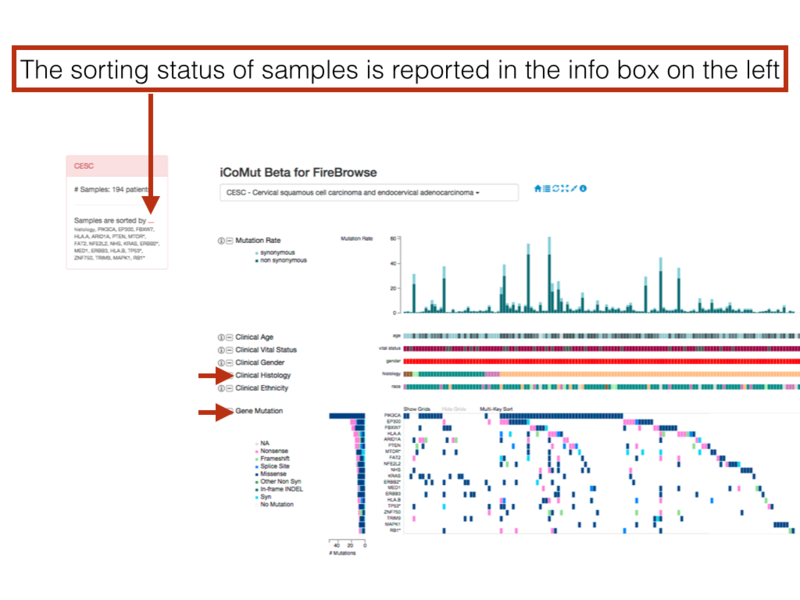 iCoMut is developed by Katherine Huang, Nome Shoresh, Eila Arich-Landkof, Michael Noble, Gad Getz at Broad Institute. 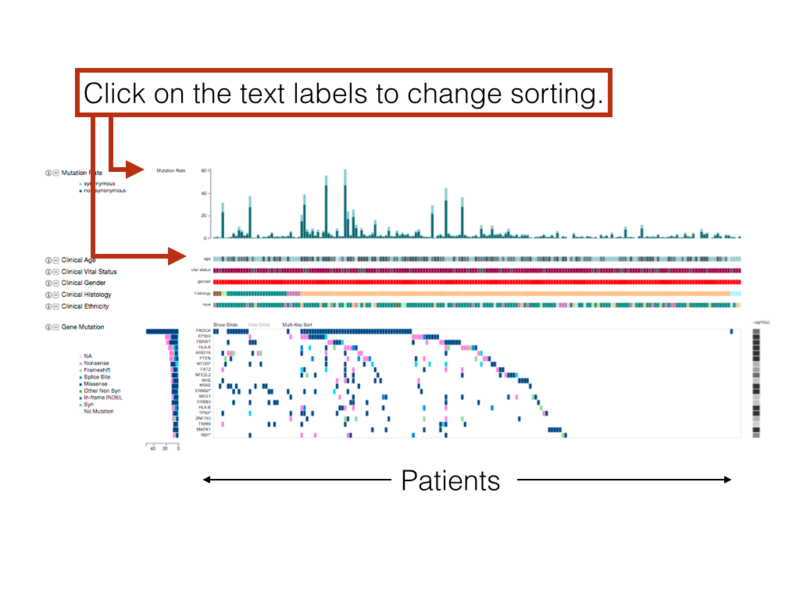 The info box located on the left reports the sorting status of the patients. 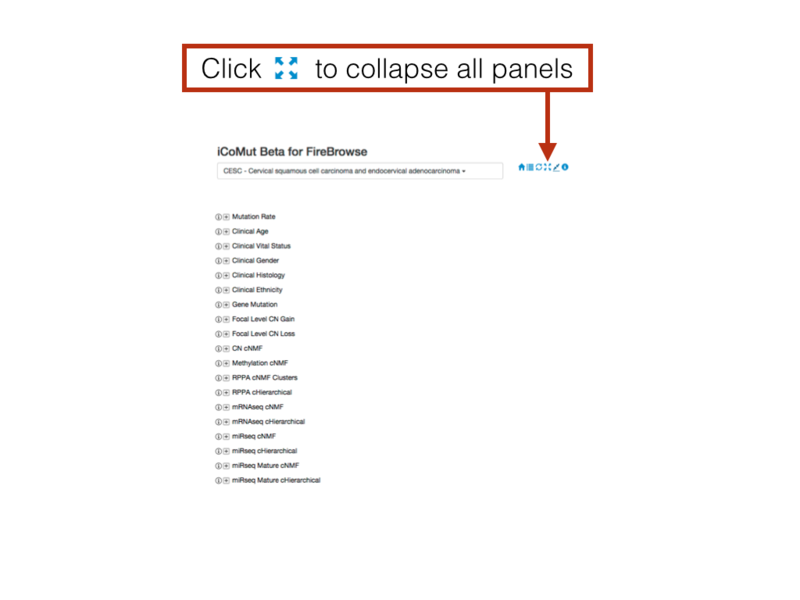 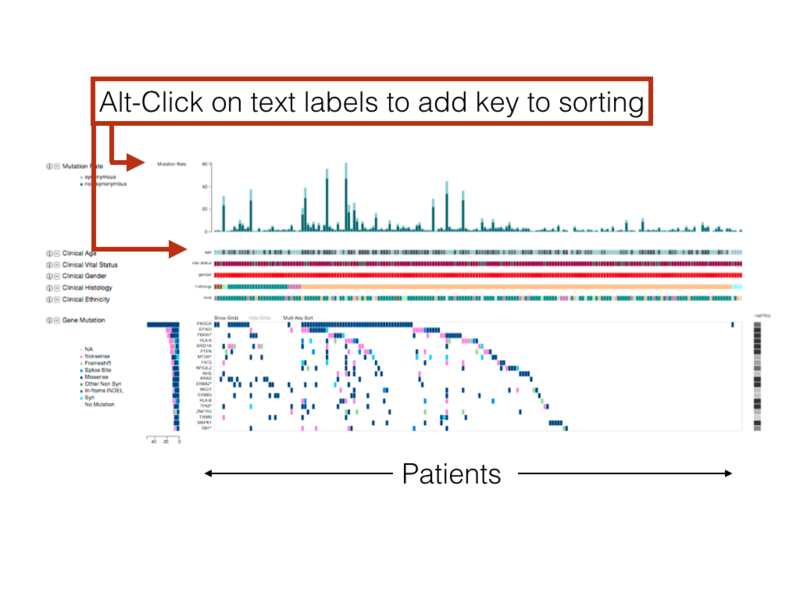 Many options to sort patients can be done by mouse clicking. 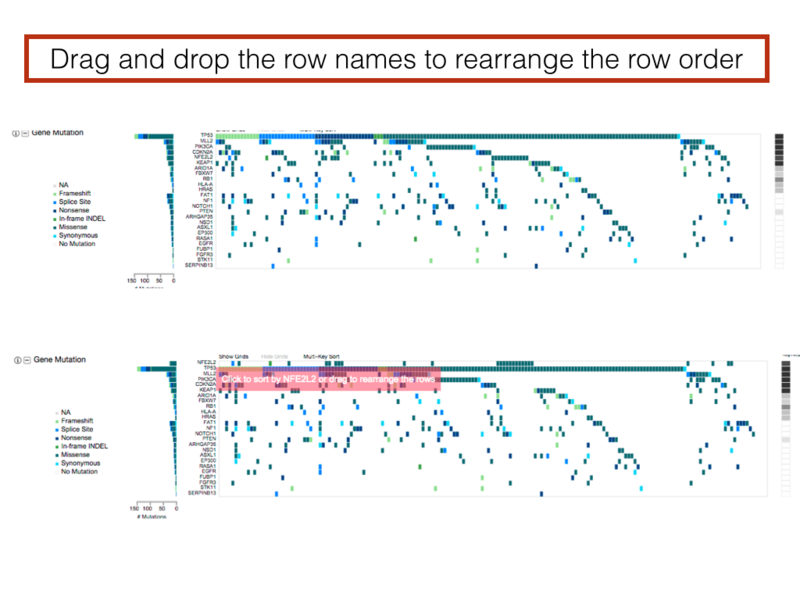 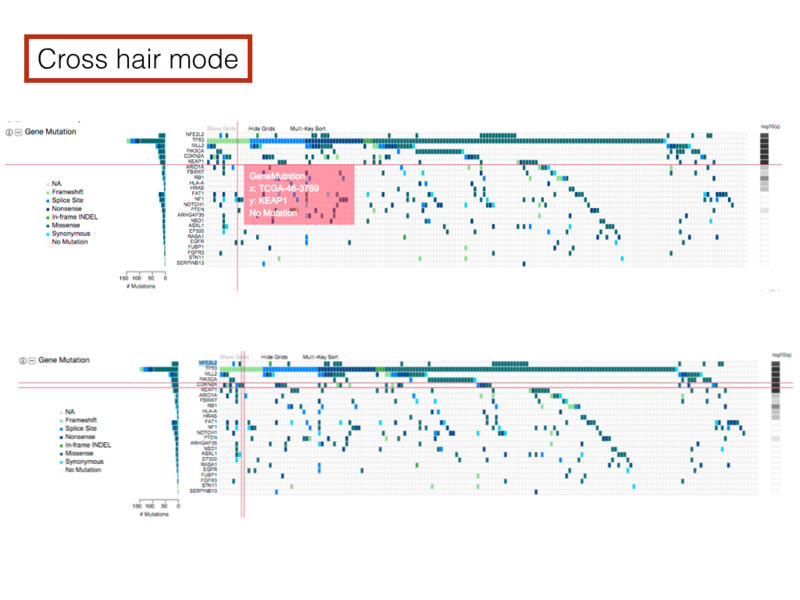 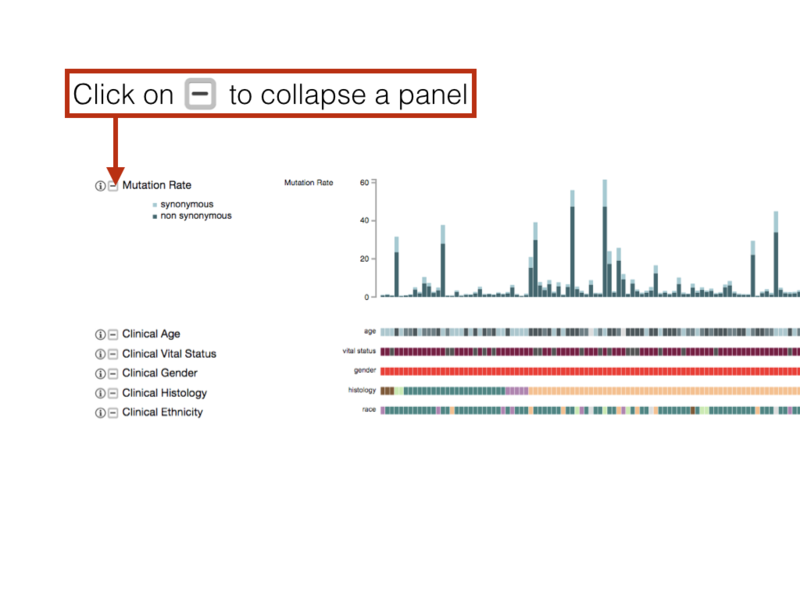 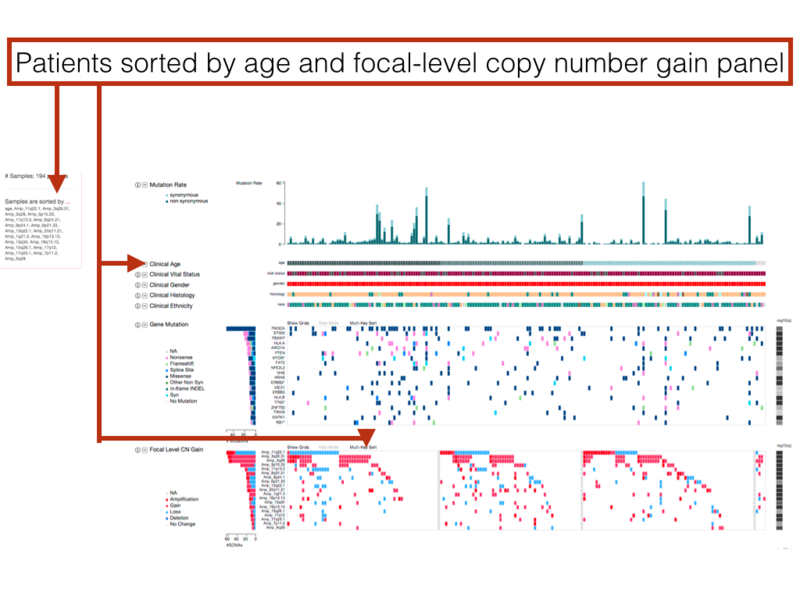 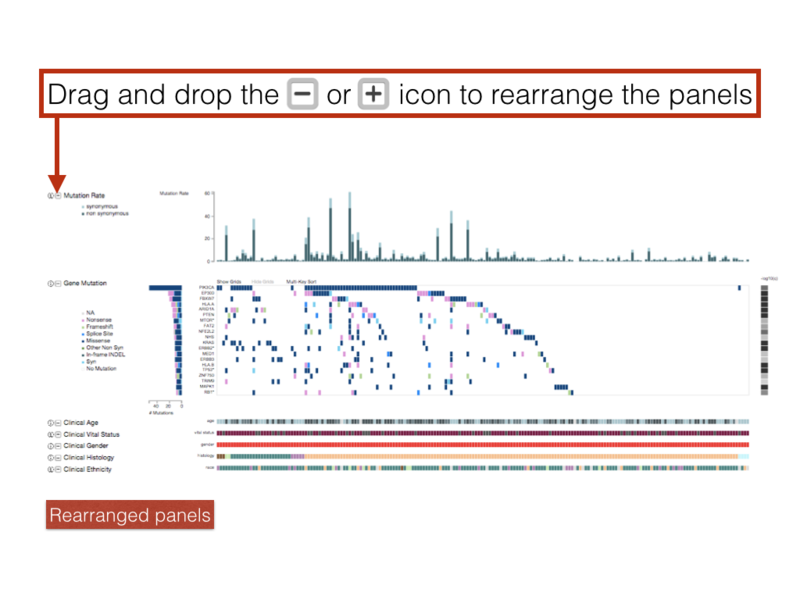 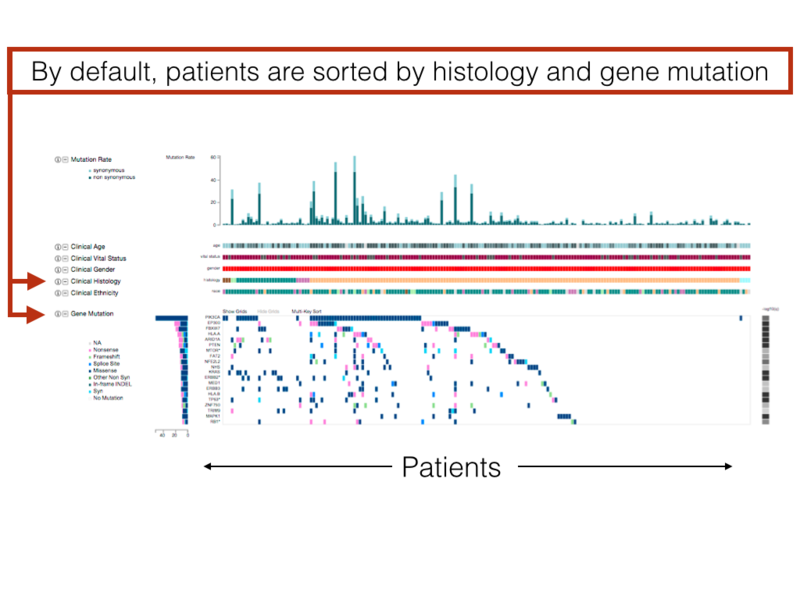 Here, for example, patients are sorting by age (click) then by focal-level copy number gain (alt-click on "Multi-Key Sort" located above the copy number heat map).